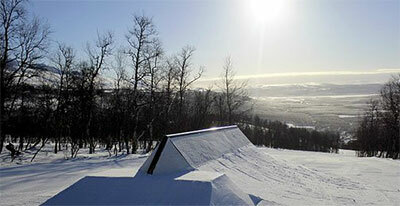 Hemavan has northern Sweden’s longest snowpark plus a Ski Cross arena designed by Sweden’s national Ski Cross team. Hemavan has northern Sweden’s longest snowpark with features for everyone, whether you’re a master jibber or a complete beginner. Tärnaby has jumps and rails that are both fun and challenging. Ski Cross is a relatively new branch of skiing, where four participants compete at the same time on fast-paced courses comprising jumps, velodrome curves, terrain waves and other features.